On October 14, l943, six hundred Jews imprisoned in Sobibor, a secret Nazi death camp in eastern Poland, revolted. They killed a dozen SS officers and guards, trampled the barbed wire fences, and raced across an open field filled with buried anti-tank mines. Against all odds, more than three hundred made it to safety in the woods. Fifty of those men and women managed to survive the war. 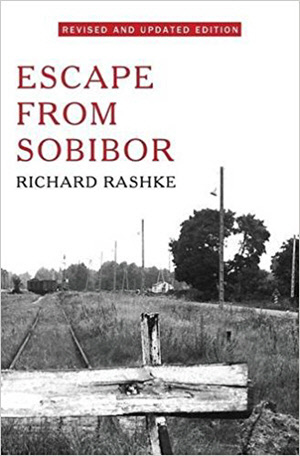 In this fully updated edition of the book, Escape from Sobibor, Richard Rashke tells their stories, based on interviews with eighteen of the survivors living in the United States, Israel, Poland, and Brazil. He not only vividly describes the biggest prisoner escape of World War II, he also delves deep into the hearts and souls of those survivors. Translated into eleven languages and made into a movie, Escape from Sobibor is a story of unimaginable cruelty and the power of unbridled hatred. But it is also a story of courage and a fierce desire to live and to tell the world what truly went on behind those barbed wire fences. The San Francisco Chronicle called it, “a memorable and moving saga, full of anguish, a reminder never to forget.” Given the widespread hatred and anti-Semitism sweeping across America today, Escape from Sobibor remains highly relevant. Richard Rashke is also the award-winning author of The Killing of Karen Silkwood; Useful Enemies: America’s Open-Door Policy for Nazi War Criminals; Whistleblower’s Dilemma: Edward Snowden, Karen Silkwood and their Quest for the Truth; and the Sobibor-related play Dear Esther. A young writer trying to finish his first novel has the whole world before him. And this wider world is certainly a contrast to the finite world within his fiction. 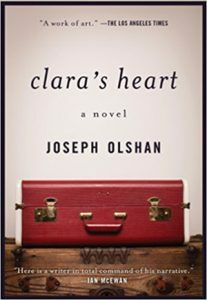 When I was in my twenties and finishing my first novel, Clara’s Heart, I had no idea how the book would fare; I was, after many attempts, just trying to get the book right. I had a larger-than-life character who seemed to know what she wanted and whose Jamaican patois became poetry whenever she spoke. What Clara said was often as surprising to me as the writer as it became to the many readers who got to know her after the book was published. Clara may have come from a different world and from a different culture, and yet she is probably my greatest fictional creation. She somehow lives more vividly on the page than all the other characters I’ve created whose worlds are arguably much closer to my own. And that was the magic that blessed me when I was writing Clara’s Heart. That was the inspiration that came from an almost mystical place. Hollywood seemed to agree because a film, starring Whoopie Goldberg and Neil Patrick Harris was made of Clara’s Heart. 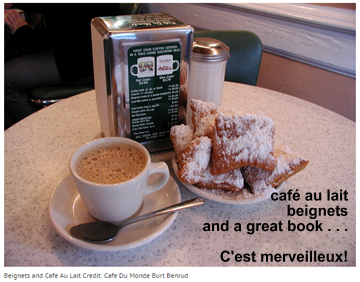 Written by a sixth generation New Orleanian, My New Orleans Gone Away, A Memoir of Loss and Renewal, takes you to a New Orleans you cannot see, a New Orleans you cannot find by yourself, a New Orleans you will never forget, and if you already love the city, a New Orleans you will understand in a new way. You will understand what really happened to New Orleans when Hurricane Katrina devastated the city, the worst natural disaster in the history of America, in a way you have never imagined. Not the news story, but the real story. You will be guided to the best restaurant in America, Mosca’s, ten miles out of town in the nearby swamp. And you’ll meet Johnny Mosca, find out what to order and why, and become aware of the generally unrecognized connection of the founding of this creole-Italian roadhouse emporium of culinary delight to the mafia underworld that once had such a strong hold on the city. You will come to understand Mardi Gras as so much more than a street celebration with brightly decorated floats whose krewe riders throw beads and trinkets to the imploring massed curbside throng. You will find out that this is the manifest and disguised tip of an old entrenched social hierarchy that has long dominated the power centers of New Orleans, and how racial and social discrimination lurk behind the gaiety. Most of all you will get to read an intimate, coming of age story of a shy boy from the south who ventures to Exeter, to Yale, to Paris and to New York who eventually becomes a noted urban policy expert, architectural historian and writer. My New Orleans is a portrait of a generation as well as a portrait of America in the mid-twentieth century.